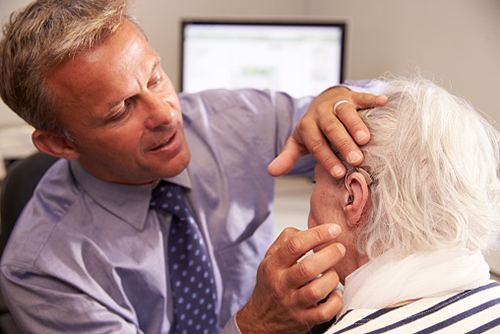 According to new research presented at the 2015 American Psychological Association Convention, many adults are negatively affecting their quality of life by not seeking treatment for hearing loss. The study was conducted by the National Council on Aging and included 2,304 participants who experienced hearing loss. Results indicate that those who did not use a hearing aid increased their risk of depression by 50% compared to those who used the devices. Researchers also discovered that the use of hearing aids was associated with people who participated in regular social activities. Myers added that one way to reduce the psychological effects of hearing loss is to improve the use of technology for those who are affected by it in public spaces. For example, a hearing loop system empowers hearing aids to serve as wireless speakers—very effective in public spaces that have a lot of background noise, such as bus stations. McIntosh, J., “Resistance to hearing loss treatment can lead to depression,” Medical News Today web site, August 9, 2015; http://www.medicalnewstoday.com/articles/297911.php.